I have seen more and more drought-tolerant yards popping up all over Downey. 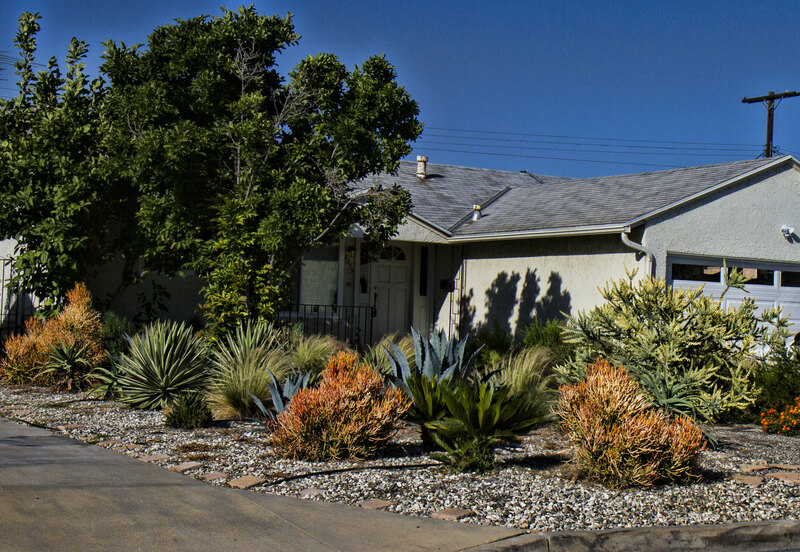 While the City of Downey encourages replacing your lawn with drought-tolerant options, the city's codes still require the front and street side yards to be landscaped with a living plant material. While I like the idea of low maintenance and reduced cost, I have a bit of a hard time with the thought of giving up my grass. It's the perfect place to sit in the shade on a hot day.